Bart W. Lombardo is committed to providing you with exceptional legal support. He approaches every client with a focus on integrity, advocacy, and understanding. 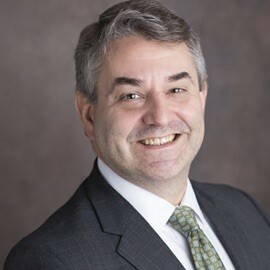 Mr. Lombardo holds a Bachelor of Science degree from Babson College with a double major in Finance and Economics as well as a Juris Doctor degree from Hofstra University School of Law. His legal career began in 1995 as a judicial law clerk in Passaic County, New Jersey where he focused exclusively on family law matters, placing a specific emphasis on divorce and dissolution of marriages. Upon completion of his judicial clerkship, Mr. Lombardo began as an associate with a boutique construction litigation firm where he became versed in all phases of construction litigation while continuing to hone his expertise in family law. Over the course of the next 13 years he developed a top legal acumen and was named an equity partner in the firm. Mr. Lombardo is also a trained mediator and Collaborative divorce attorney and as a founding member, trustee and past-president of CASA of Union County, Inc. He has accrued substantial real world business experience.